Dozens of protesters were arrested just hours before President Obama landed for his historic visit to Cuba, reports said. 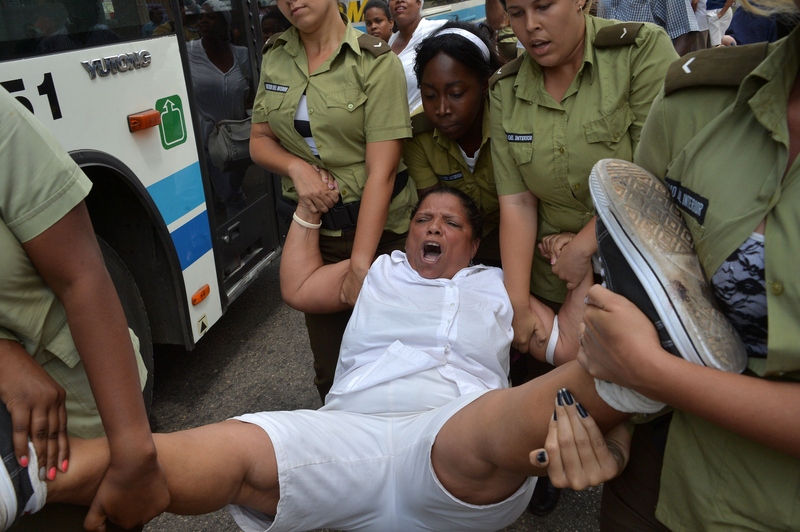 According to USA Today, the protesters are called the Ladies in White, who advocate for human rights on the island. They march every Sunday after church in the Havana suburb, Miramar, and usually get arrested and detained for hours or days. Fifty protesters were taken into custody, with videos of them being dragged on the streets by police. On March 20, fifty protesters were taken into custody, with videos of them being dragged on the streets by police and transported by buses. The Ladies in White group formed in 2013 and have been protesting since. They are the family members of 75 journalists and democracy advocates that were arrested during Cuba’s “Black Spring” in 2003, when the Cuban government initiated a crackdown on democracy protests. They hope that Obama’s visit will bring attention to the matter and help improve human rights in the country. According to 14ymedio.com, the group’s leader, Berta Soler, said that she asks President Obama to send a message of support to Cubans, since the United States has always wanted democracy in the island. [Obama] will arrive to a repressed Cuba and he will leave a repressed Cuba too. 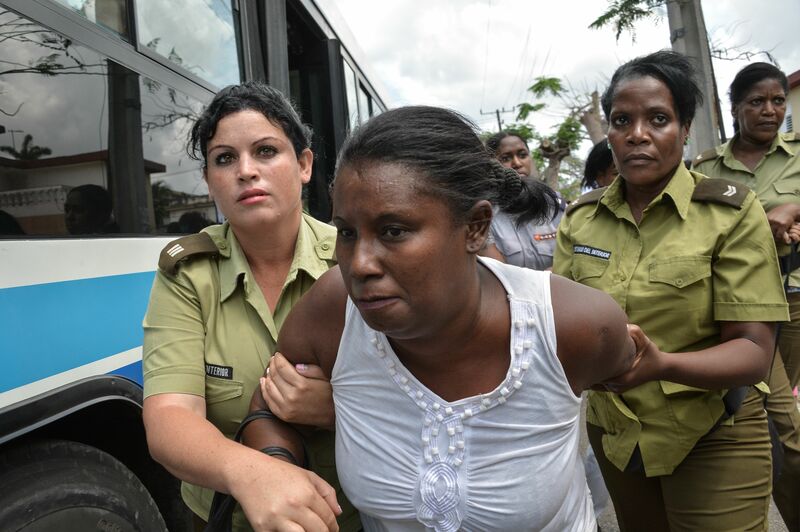 “We also want him to demand the Cuban government the immediate release for all political prisoners, a general amnesty and the end of violence from the police,” said Soler to 14ymedio.com. Some of the protesters will meet President Obama during his trip. Meanwhile, on March 21, President Obama said he had a “frank and candid conversation” with Cuban leader Raul Castro on human rights and democracy. During a press conference with both heads of state, a rare event in communist Cuba, Castro was asked why there were political prisoners on the island. Castro also said no country meets all international standards on human rights.